The Saint Nicholas Society of the City of New York is an organization in New York City of men who are descended from early inhabitants of the State of New York. The Saint Nicholas Society of the City of New York was founded by author Washington Irving and others, as an “organization to commemorate the history and heritage of New York, and to promote good fellowship among the members.” The first meeting was a dinner held on February 14, 1835 at Washington Hall, a popular dining and meeting locale in the 1830s, at the southeast corner of the intersection of Broadway and Reade Street. The group continues to hold regular dinners and meetings and to pay for newspaper announcements when one of their members dies. The dinners are sometimes addressed by notable speakers, with reports of speeches appearing in The New York Times. The Society has several Officers including President, four Vice Presidents, Secretary, Treasurer, Historian, Genealogist, Assistant Genealogist, Chaplains, and Physicians. Members are appointed to a Board of Managers annually, and have three members for each Class or year who serve between a one and a five-year term. Similarly, a Board of Stewards with a Chief Steward and five members is appointed. Lastly, the organization has several standing committees including an Executive Committee, Admissions Committee, Finance Committee, Law Committee, Nominating Committee, Publications Committee, and a Speakers and Medals Committee. Membership is by invitation of a member who will propose the candidate and elicit letters from another member willing to second the nomination, as well as from a supporter. 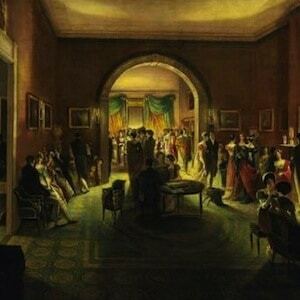 Prospective members must be introduced as a guest at a gathering of the Society. The completed application with substantiating documentation and three letters are submitted to the Society for verification by the Genealogist. Upon his approval, the file is presented to the Admissions Committee and with their approval to the Board of Managers.